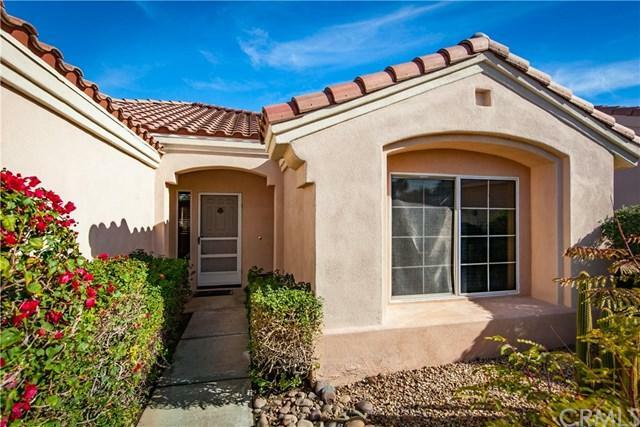 Come see this Gorham model Sun City Palm Desert home. 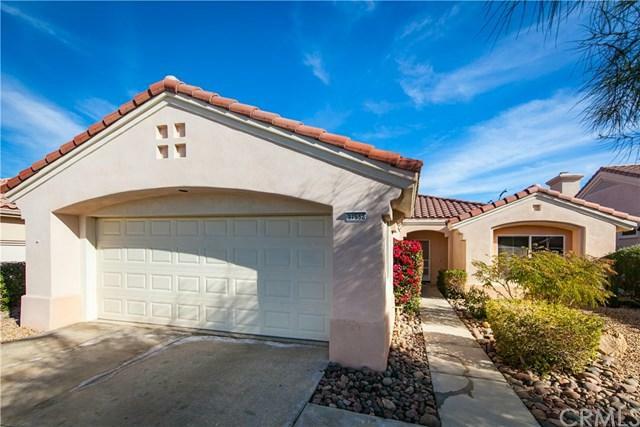 Located close to the Mountain View clubhouse, open floor plan, vaulted ceilings, built in 1992 with 1,157 sqft. Light paint tones with hardwood floors and wood blinds give it a warm feel. Kitchen comes complete with corian counters, breakfast bar, and stainless steel appliances. Spacious master bedroom has newer carpet, and master bathroom has been upgraded with large diagonal tile flooring. There's also a cozy room for your guests next to the second full bath, and a separate area with a built in desk and cabinets for your computer or office needs. 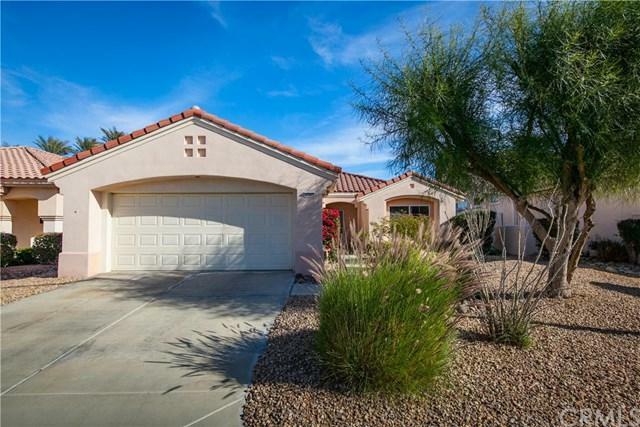 Outside you'll find desert landscaping in the front, and easy care backyard with lots of cement, a covered patio and no homes behind you. 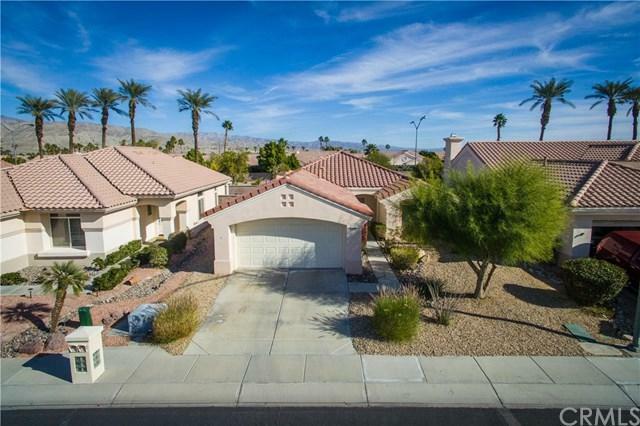 This guard gated community has many amenities and activities - Tennis, paddleball, pickleball, and bocce ball courts, softball field, pools & spas, clubhouses, fitness centers offering classes, indoor track, craft & meeting rooms, movie auditorium, restaurants, coffee/wine bar, and dog parks. The beautiful 36 hole golf course has its own pro shop, and for your convenience on site you'll find a post office, ATM, and golf path leading to the Marketplace for additional shopping, restaurants and services.